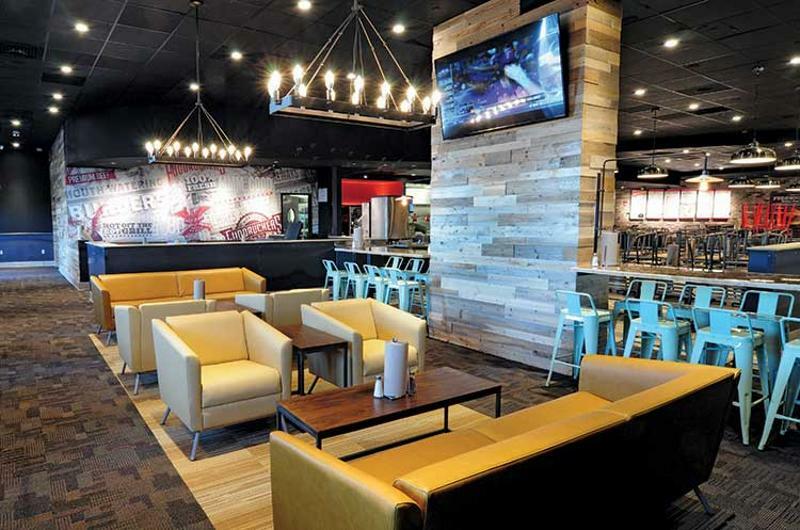 Fuddruckers franchisee Jim Boland opened his unit in Reading, Mass., in 2005—and hadn’t done any remodeling since. That changed with a complete dining-room gut job, finished in November. 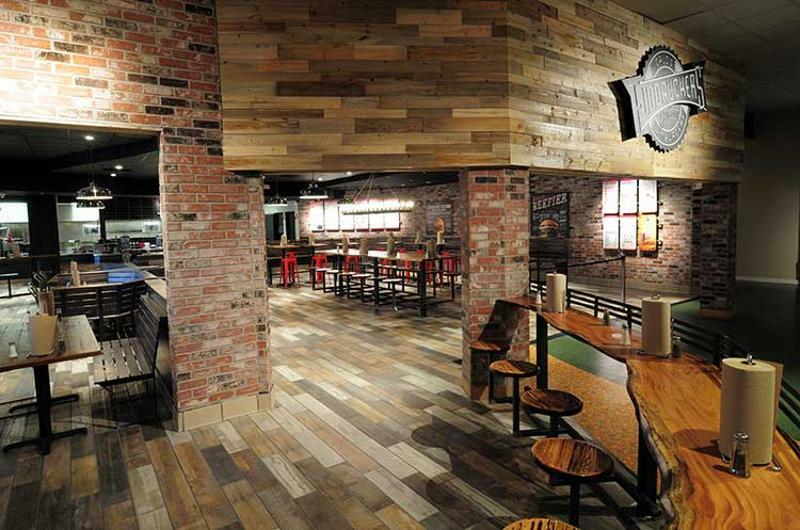 Gone are the brand’s signature bright-red walls, checkered accents and retro diner feel. 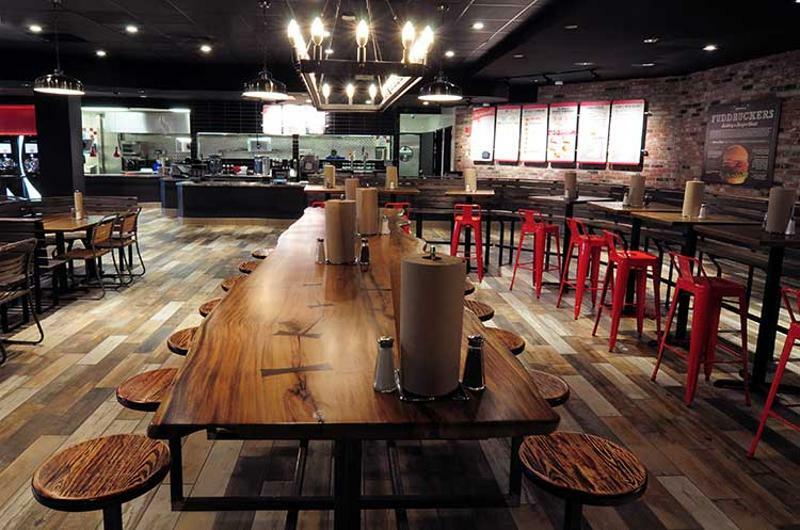 While the fast casual aimed to maintain some of the original “Americana” vibe, an emphasis on easing the guest experience led to a modern refresh with increased productivity. Here are five of the most dramatic changes. “It doesn’t feel as cramped as the old design,” says Boland. 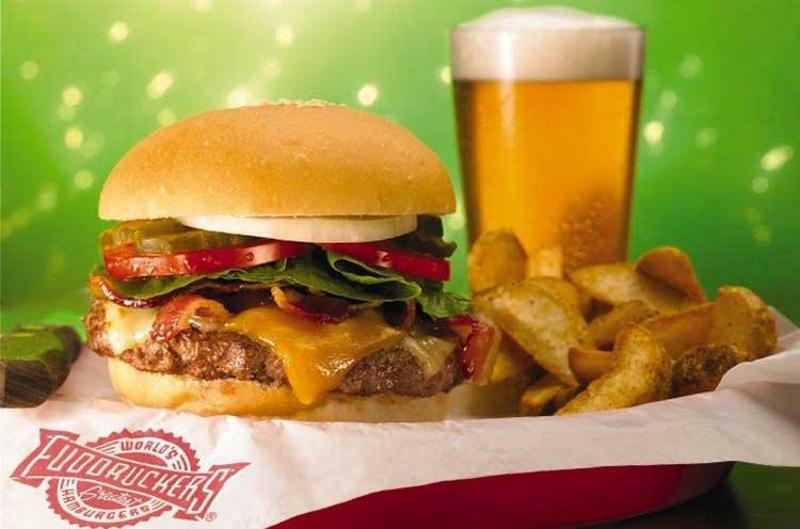 Older Fuddruckers have a bakery up front to highlight the brand’s use of baked-on-premise buns. “We moved the bakery and shake area to the back of house to improve efficiency and open the dining room,” says Boland. The previous format also featured a lot of interior “window walls,” which Boland took down. Now you can see the whole restaurant from the entrance, he says. Those changes created an open floor plan with room for an extra 75 seats, for a new total of 225. Boland also added a lounge area with a fireplace, TV, low tables and leather chairs and couches. Guests can sit and watch part of a ball game or wait for the rest of their party to finish shopping. The topping bar, a Fuddruckers signature, was enlarged and given a brighter spotlight. “It’s moved to the center-front of the dining area to really emphasize that part of the guest experience,” says Boland. The bar was tripled in size and made double-sided, so it can handle more traffic. Hot sauces and pico de gallo were added to the array. The outward consumer experience is similar, just better guided. Guests order at one of five registers and get their own drinks as they wait for their food. A third soda machine was added, as were iced tea and filtered-water stations. “The remodel opened it up and made it easier to maneuver around and clearer [to see] what to do,” Boland says. Six brews are now offered, all on tap. 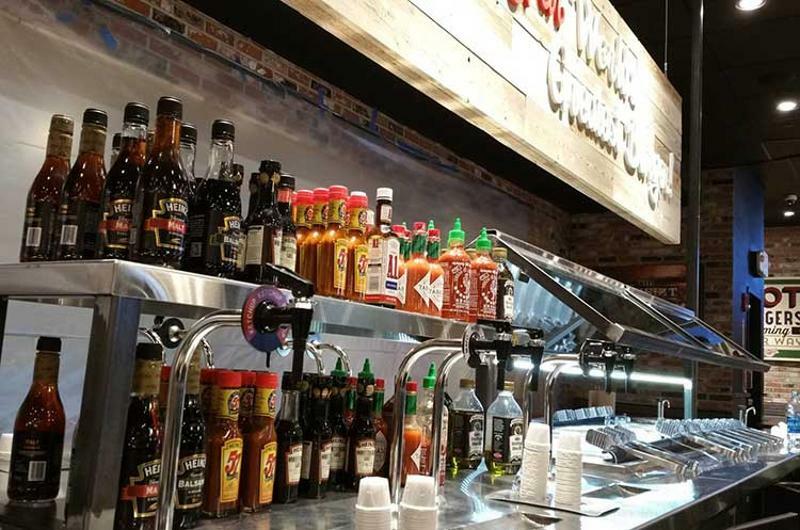 “We put [taps] right behind the registers; it’s working well,” says Boland.